Daisy Chain Multiple TunerView II LCDs To Display Different Data At Once. 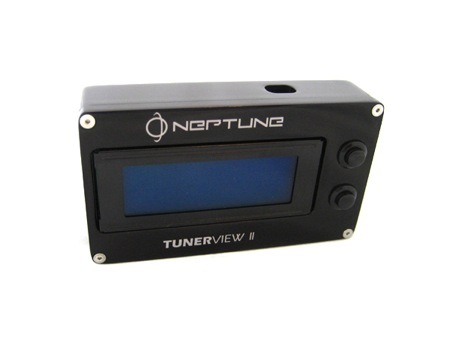 Datalog Through The TunerView With NepTune, NepTune RTP, eCtune, Crome (Crome Pro and Freelog Compatible). Backlight Adjustment (For Blue And Red LCD only. Amber Will Stay Lit Constantly.). Now Natively Supports Hondata S300 and K-Pro With Controller Module (included at an extra cost). Supports NepTune, NepTune RTP, eCtune, Crome, and Uberdata (See below). 7 Data Pages - One large item or up to 8 small items per page. Add spaces to group items. Peak Values - AFR, Duty Cycle, ECT, IAT, MAP, RPM, TPS, and VSS. For Uberdata, please install the Crome P72 datalogging script or install the new Uberdata logging script available here: http://forum.pgmfi.org/viewtopic.php?f=27&t=15451. 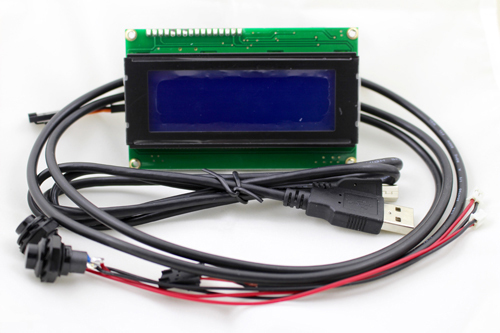 Special color LCDs are available!